If you have ever heard anything about Reunion Island, then you know that it is a paradise that you must see. With flawless beaches and incredibly lush jungle, it is the kind of island that you could only see in the movies, except staying at a 5 star hotel in Reunion Island is much easier than you would think. 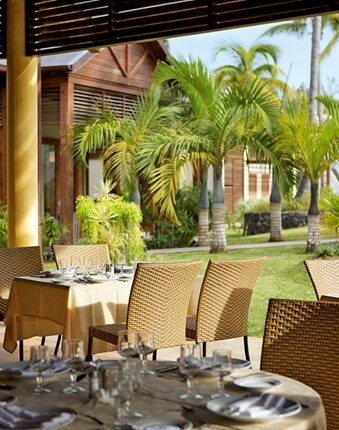 Accommodation: There is only one 5 star hotel in Reunion Island and it is undoubtedly where you want to stay if luxury in a highly-coveted beach destination is what you are after. Reunion Island is a world of marvels and as you pamper yourself in a place where you can receive service deserving of royalty, you will be able to better enjoy all that there is to be found here. Adventure: Reunion Island has an amazingly beautiful volcano. As a highly active volcano, it is both breathtaking and thrilling to visit. It will take some hiking or mountain biking to get there, but it will be rewarding. Also try to make a visit to Cilaos where you can see awe-inspiring canyons, visit refreshing waterfalls, and get in some rock climbing. A waterfall that you must visit is Voile de la Mariee. It is a breathtaking experience and want that you will want to capture with your camera. Delicious food: Reunion Island also has a number of lively markets where you can go to get fresh tropical fruit and enjoy the atmosphere of island life. Along the lines of good food, you must try the cuisine found here. With a mixture of Indian and African cuisine as well as Creole dishes, the flavors are as exotic as the island itself. Underwater living: Diving in the waters surrounding Reunion Island is an experience that cannot be missed. With incredibly vibrant and active marine life, a dive in the Indian Ocean will provide you with underwater views that you cannot even imagine. Because the area is protected by the Natural Marine Reserve, there is an abundance of fish and other underwater creatures. It is undoubtedly one of the best places for underwater activities in the world. Explore: Whether you explore the beautiful nature to be found on Reunion island with all of its peaks and hills or you walk around the towns and discover places of interest, it is most likely a highly different world than what you are used to. Culture: Since Reunion Island is a place with a mixture of backgrounds and an incredible history, you will find a mix of different cultures mixed into one place. You will find vestiges of the past when people came from France, China, Africa, and even the Madagascar Islands. This is one reason why besides being a beautiful destination for vacation, it is also a captivating experience to get to know the people here. Whether you speak French or Creole, you will be in luck. English isn’t widely spoken here, so pull out that language book and get to know the world around you.